The Imperial Regalia of Japan (三種の神器, Sanshu no Jingi/Mikusa no Kamudakara), also known as the Three Sacred Treasures of Japan, consist of the sword Kusanagi (草薙劍), the mirror Yata no Kagami (八咫鏡), and the jewel Yasakani no Magatama (八尺瓊勾玉). The regalia represent the three primary virtues: valor (the sword), wisdom (the mirror), and benevolence (the jewel). Due to the legendary status of these items, their locations are not confirmed, but it is commonly thought that the sword is located at the Atsuta Shrine in Nagoya, the jewel is located at the Three Palace Sanctuaries in Kōkyo (the Imperial Palace in Tokyo), and the mirror is located at the Ise Grand Shrine in Mie Prefecture. Since 690, the presentation of these items to the Emperor by the priests at the shrine has been a central element of the enthronement ceremony. 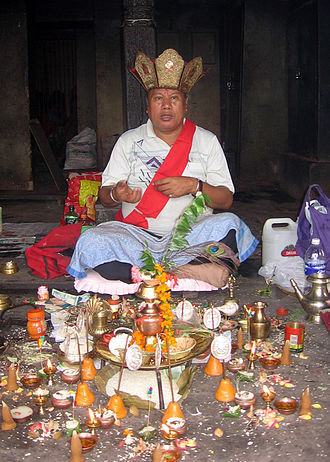 This ceremony is not public, and these items are by tradition seen only by the Emperor and certain priests. 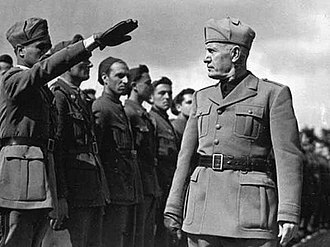 Because of this, no known photographs or drawings exist. Two of the three treasures (the jewel and the sword, as well as the Privy Seal and State Seal) were last seen during the accession and enthronement of Emperor Akihito in 1989 and 1993, but were shrouded in packages. According to legend, these treasures were brought to earth by Ninigi-no-Mikoto, legendary ancestor of the Japanese imperial line, when his grandmother, the sun goddess Amaterasu, sent him to pacify Japan. These treasures were eventually said to be passed down to Emperor Jimmu, who was the first Emperor of Japan and was also Ninigi's great-grandson. Traditionally, they were a symbol of the emperor's divinity as a descendant of Amaterasu, confirming his legitimacy as paramount ruler of Japan. 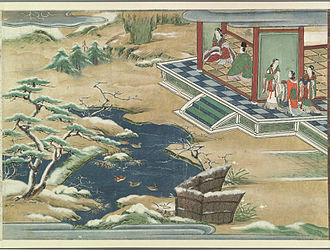 When Amaterasu hid in a cave from her brother Susanoo-no-Mikoto, thus plunging the world in darkness, the goddess Ame-no-Uzume-no-Mikoto hung the mirror and jewels outside the cave and lured her out of the cave, at which point she saw her own reflection and was startled enough that the gods could pull her out of the cave. Susanoo later presented the sword Kusanagi to Amaterasu as a token of apology; he had obtained it from the body of an eight-headed serpent, Yamata no Orochi. At the conclusion of the Genpei War in 1185, the eight year-old Emperor Antoku and the Regalia were under the control of the Taira clan. They were present when the Taira were defeated by the rival Minamoto clan at the Battle of Dan-no-ura, which was fought on boats in the shallow Kanmon Straits. The child-emperor's grandmother threw herself, the boy, the sword and the jewel into the sea to avoid capture. 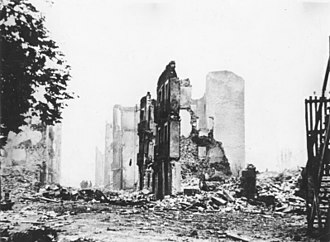 The mirror was recovered, but according to the main account of the battle, a Minamato soldier who tried to force open the box containing it was struck blind. The jewel was recovered shortly afterwards by divers, but the sword was lost. There are a number of medieval texts relating to the loss of the sword, which variously contended that a replica was forged afterwards, or that the lost sword itself was a replica or the sword was returned to land by supernatural forces. The possession by the Southern Dynasty of the Imperial Regalia during the Nanboku-chō period in the 14th century has led modern chroniclers to define it as the legitimate dynasty for purposes of regnal names and genealogy. The importance of the Imperial Regalia to Japan is also evident from the declarations made by Emperor Hirohito to Kōichi Kido on 25 and 31 July 1945 at the end of World War II, when he ordered the Lord Keeper of the Privy Seal of Japan to protect them "at all costs". The phrase "Three Sacred Treasures" is retrospectively applied to durable goods of modern Japan. 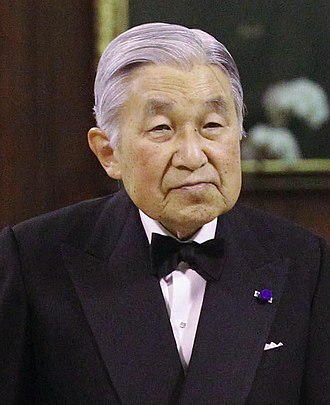 During a policy address in 2003, then Prime Minister Junichiro Koizumi said that during the mid-1950s and mid-1960s, the "three sacred treasures" for durable goods were the washing machine, refrigerator, and the black and white television, and the automobile, air conditioner, and color television set from the mid-1960s to the mid 1970s. Alvin and Heidi Toffler's Powershift use them to symbolize the three kinds of power they distinguish: force (sword), wealth (jewel) and knowledge (mirror). ^ ミニ講話 宮司のいい話 (in Japanese). ^ Sansom, George (1961). A History of Japan 1334–1615. Stanford University Press. p. 9. ISBN 0804705259. ^ Kido Koichi nikii, Tokyo, Daigaku Shuppankai, 1966, pp.1120–21. 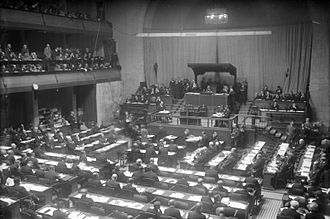 ^ "General Policy Speech by Prime Minister Junichiro Koizumi to the 156th Session of the Diet". Prime Minister of Japan and His Cabinet. 31 January 2003. Retrieved 5 September 2017. (Structural Reform in Lifestyle) From the mid-1950s to the mid-1960s, washing machines, refrigerators and black and white televisions were called the "three sacred treasures" that symbolized the new lifestyle; from the mid-1960s to the mid-1970s they were automobiles, air conditioners and color televisions. ^ Powershift: Knowledge, Wealth and Violence at the Edge of the 21st Century (1990), Bantam Books, Alvin and Heidi Toffler, ISBN 0-553-29215-3. The Enthronement of the Emperor of Japan is an ancient ceremony which marks the accession of a new ruler to the Chrysanthemum Throne, in the worlds oldest continuous hereditary monarchy. Various ancient imperial regalia are given to the new sovereign during the course of the rite, the Japanese enthronement ceremony consists of three main parts. The first is the simplest, and takes place immediately after the death of the preceding sovereign, unlike other monarchies, Japan has no crown in its regalia. These three objects were originally said to have given by the Sun Goddess, Amaterasu-ōmikami, to her grandson when he first descended to earth. The most important of these three treasures is the mirror Yata no Kagami, which is enshrined in the Ise Shrine as the go-shintai and it is permanently housed in the shrine, and is not presented to the Emperor for the enthronement ceremony. Imperial messengers and priests are sent to this shrine, as well as to the tomb-shrines of the four Emperors whose reigns immediately preceded his, to inform them of the new Emperors accession. The second part of the ceremony, called the Sokui-Rei, is the enthronement ritual itself and this ancient rite was traditionally held in Kyoto, the former capital of Japan, but in 1990, Emperor Akihito was enthroned in Tokyo. The 1990 enthronement was the first to be covered on television and it was done indoors, with the elevated stand placed inside the Imperial Palace complex. Only part of the ritual is public, and the regalia itself is seen only by the Emperor. This was followed by the enthronement itself, which place in an enclosure called the Takamikura. This was surrounded by a pavilion with curtains, surmounted by a great golden Phoenix. At the same time, the Empress of Japan, in full dress regalia, traditional drums were, at this point of the ceremony, beaten to start the proceddings. 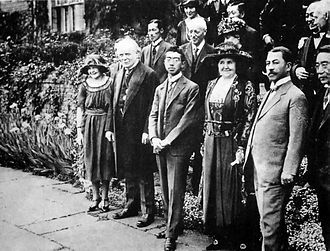 The new Emperor proceeded to the chair, where after being seated, a simple wooden sceptre was presented to the Emperor, who faced his Prime Minister standing in an adjacent courtyard, representing the Japanese people. The Nihon Shoki, sometimes translated as The Chronicles of Japan, is the second oldest book of classical Japanese history. The book is called the Nihongi. The Nihon Shoki was finished in 720 under the supervision of Prince Toneri. It is believed to record accurately the latter reigns of Emperor Tenji, Emperor Tenmu, the Nihon Shoki focuses on the merits of the virtuous rulers as well as the errors of the bad rulers. It describes episodes from mythological eras and diplomatic contacts with other countries, the Nihon Shoki was written in classical Chinese, as was common for official documents at that time. The Kojiki, on the hand, is written in a combination of Chinese. The Nihon Shoki contains numerous transliteration notes telling the reader how words were pronounced in Japanese, the stories in this book and the Kojiki are referred to as the Kiki stories. The tale of Urashima Tarō is developed from the mention in Nihon Shoki that a certain child of Urashima visited Horaisan. The tale has plainly incorporated elements from the famous anecdote of Luck of the Sea, the developed Urashima tale contains the Rip Van Winkle motif, so some may consider it an early example of fictional time travel. A sword is a long bladed weapon intended for slashing or thrusting. The precise definition of the term varies with the epoch or the geographical region under consideration. A sword consists of a blade attached to a hilt. The blade can be straight or curved, thrusting swords have a pointed tip on the blade, and tend to be straighter, slashing swords have sharpened cutting edge on one or both sides of the blade, and are more likely to be curved. Many swords are designed for thrusting and slashing. 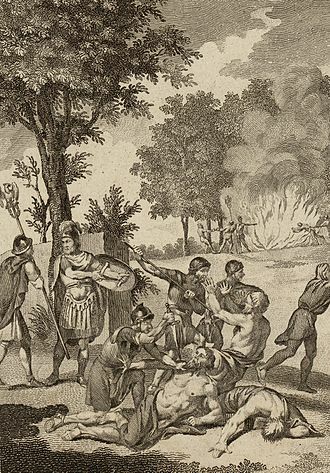 Historically, the sword developed in the Bronze Age, evolving from the dagger, the Iron Age sword remained fairly short and without a crossguard. The word sword continues the Old English, the use of a sword is known as swordsmanship or as fencing. In the Early Modern period, western sword design diverged into two forms, the thrusting swords and the sabers. The thrusting swords such as the rapier and eventually the smallsword were designed to impale their targets quickly and their long and straight yet light and well balanced design made them highly maneuverable and deadly in a duel but fairly ineffective when used in a slashing or chopping motion. A well aimed lunge and thrust could end a fight in seconds with just the swords point, the saber and similar blades such as the cutlass were built more heavily and were more typically used in warfare. Built for slashing and chopping at multiple enemies, often from horseback, most sabers had sharp points and double edged blades, making them capable of piercing soldier after soldier in a cavalry charge. Sabers continued to see use until the early 20th century. The US Navy kept tens of thousands of sturdy cutlasses in their armory well into World War II, non-European weapons called sword include single-edged weapons such as the Middle Eastern scimitar, the Chinese dao and the related Japanese katana. The Chinese jian is an example of a non-European double-edged sword, the first weapons that can be described as swords date to around 3300 BC. They have been found in Arslantepe, are made from arsenical bronze, some of them are inlaid with silver. The sword developed from the dagger when the construction of longer blades became possible, from the late 3rd millennium BC in the Middle East, first in arsenic copper, in tin-bronze. Blades longer than 60 cm were rare and not practical until the late Bronze Age because the strength of bronze is relatively low. Mie Prefecture is a prefecture of Japan, which is part of the Kansai region on the main Honshu island. The capital is the city of Tsu, until the Meiji Restoration, the area that is now Mie Prefecture was made up of Ise Province, Shima Province, Iga Province and part of Kii Province. Evidence of human habitation in Mie dates back more than 10,000 years, during the Jōmon and Yayoi periods, agricultural communities began to form along the river and coastal areas of the region. During the Edo period, the now known as Mie Prefecture consisted of several feudal domains. 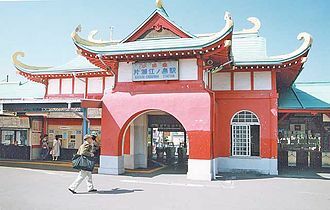 Transport networks, including the Tokaido and Ise Roads, were built, port towns such as Ohminato, Kuwana and Anōtsu, posting stations and castle towns flourished. 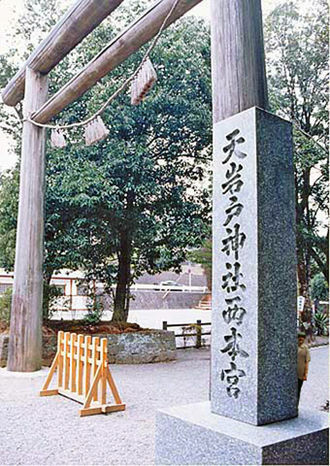 Pilgrimages to Ise Shrine became very popular, after the Meiji Restoration, the former provinces of Ise and Iga as well as a portion of eastern Kii, were organized and reorganized repeatedly. In 1871 the area from the Kiso Three Rivers in the north to present-day Tsu became Anōtsu Prefecture, in 1872, the Anōtsu prefectural seat moved from Tsu to Yokkaichi, and the prefecture itself was renamed Mie. The name Mie supposedly was taken from a comment about the region made by Yamato Takeru on his way back from conquering the eastern regions. In 1959 many lives were lost as parts of Mie were devastated by the Ise-wan Typhoon, crops were destroyed, sea walls ruined and railways damaged and a substantial number of people were injured or left homeless. In May 2016, the city of Shima hosted the 42nd G7 summit, Mie Prefecture forms the eastern part of the Kii Peninsula, and borders on Aichi, Shiga, Kyoto and Wakayama. Traditionally, the Iga region of Mie is considered to have always been a part of Kansai. Mie has a coastline that stretches 1,094.9 km and, as of 2000, Mies 5,776.44 km2 landmass is 64. 8% forest,11. 5% agriculture, 6% residential area,3. 8% roads, and 3. 6% rivers. The remaining 10. 3% are not classified, the Ise Plain has a relatively moderate climate, averaging 14 to 15 degrees Celsius for the year. The Iga Basin has more daily temperature variance and averages temperatures 1 to 2 degrees cooler than the Ise Plain, southern Mie, south of the Shima Peninsula, has a warmer Pacific marine climate, with Owase Region having one of the heaviest rainfall figures for all of Japan. This is different from other light-reflecting objects that do not preserve much of the original wave signal other than color and diffuse reflected light. The most familiar type of mirror is the mirror, which has a flat screen surface. Curved mirrors are used, to produce magnified or diminished images or focus light or simply distort the reflected image. Mirrors are commonly used for personal grooming or admiring oneself, Mirrors are used in scientific apparatus such as telescopes and lasers and industrial machinery. Most mirrors are designed for light, mirrors designed for other wavelengths of electromagnetic radiation are used. The first mirrors used by people were most likely pools of dark, still water, the requirements for making a good mirror are a surface with a very high degree of flatness, and a surface roughness smaller than the wavelength of the light. The earliest manufactured mirrors were pieces of polished stone such as obsidian, examples of obsidian mirrors found in Anatolia have been dated to around 6000 BC. Mirrors of polished copper were crafted in Mesopotamia from 4000 BC, polished stone mirrors from Central and South America date from around 2000 BC onwards. In China, bronze mirrors were manufactured from around 2000 BC, some of the earliest bronze, Mirrors made of other metal mixtures such as copper and tin speculum metal may have been produced in China and India. Mirrors of speculum metal or any precious metal were hard to produce and were owned by the wealthy. Stone mirrors often had poor reflectivity compared to metals, yet metals scratch or tarnish easily, depending upon the color, both often yielded reflections with poor color rendering. The poor image quality of ancient mirrors explains 1 Corinthians 13s reference to seeing as in a mirror, glass was a desirable material for mirrors. Because the surface of glass is smooth, it produces reflections with very little blur. In addition, glass is very hard and scratch resistant, glass by itself has little reflectivity, so people began coating it with metals to increase the reflectivity. 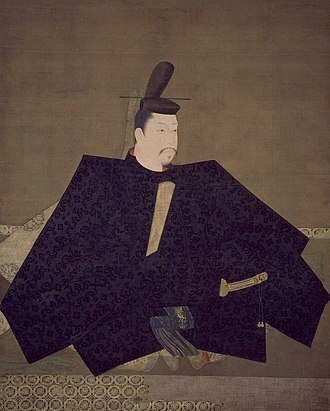 Emperor Jimmu, (original birth name of Shinto, Kamu-Yamato-Iware-Biko no Mikoto, was the first Emperor of Japan, according to legend. His accession is dated as 660 BC. According to Japanese mythology, he is a descendant of the sun goddess Amaterasu, through her grandson Ninigi and he launched a military expedition from Hyuga near the Inland Sea, captured Yamato, and established this as his center of power. In modern Japan, Jimmus accession is marked as National Foundation Day on February 11, Jimmu is recorded as Japans first ruler in two early chronicles and Nihon Shoki. Nihon Shoki gives the dates of his reign as 660–585 BC, prior to this time, these rulers had been known as sumera no mikoto/ōkimi. This practice had begun under Empress Suiko, and took root after the Taika Reforms with the ascendancy of the Nakatomi clan. According to the account in the Kojiki, Emperor Jimmu was born on February 13,711 BC. Both the Kojiki and the Nihon Shoki give Jimmus name as Kamu-yamato Iware-biko no mikoto, iware indicates a toponym whose precise purport is unclear. The Imperial House of Japan traditionally based its claim to the throne on its descent from the sun-goddess Amaterasu via Jimmus great grandfather Ninigi. In Japanese mythology, the Age of the Gods is the period before Jimmus accession, Jimmu figures as a direct descendant of the sun goddess, Amaterasu via the side of his father, Ugayafukiaezu. Amaterasu had a son called Ame no Oshihomimi no Mikoto and through him a grandson named Ninigi-no-Mikoto and she sent her grandson to the Japanese islands where he eventually married Konohana-Sakuya-hime. Among their three sons was Hikohohodemi no Mikoto, called Yamasachi-hiko, who married Toyotama-hime and she was the daughter of Ryūjin, the Japanese sea god. They had a son called Hikonagisa Takeugaya Fukiaezu no Mikoto. The boy was abandoned by his parents at birth and consequently raised by Tamayori-hime and they eventually married and had four sons. The last of these, Kanyamato Iwarebiko, became Emperor Jimmu, according to the chronicles Kojiki and Nihon Shoki, Jimmus brothers were born in Takachiho, the southern part of Kyūshū in modern-day Miyazaki Prefecture. The Ise Grand Shrine, located in the city of Ise, Mie Prefecture of Japan, is a Shinto shrine dedicated to the sun goddess Amaterasu. Officially known simply as Jingū, Ise Jingū is a complex composed of a large number of Shinto shrines centered on two main shrines, Naikū and Gekū. The Inner Shrine, Naikū, is located in the town of Uji-tachi, south of central Ise, and is dedicated to the worship of Amaterasu, the shrine buildings are made of solid cypress wood and use no nails but instead joined wood. The Outer Shrine, Gekū, is located six kilometers from Naikū and dedicated to Toyouke-Ōmikami. Besides Naikū and Gekū, there are an additional 123 Shinto shrines in Ise City, purportedly the home of the Sacred Mirror, the shrine is one of Shintos holiest and most important sites. Access to both sites is limited, with the common public not allowed beyond sight of the thatched roofs of the central structures. 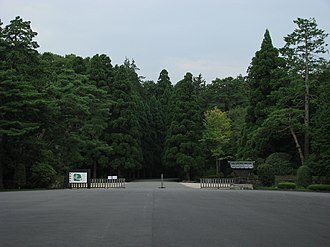 However, tourists are free to roam the forest, including its ornamental walkways, during the Edo period, it is estimated that one out of ten Japanese conducted an Okage Mai-Ri pilgrimage to the shrine. Accordingly, pilgrimage to the shrine flourished in both commercial and religious frequency, because the shrine is considered sanctuary, no security checkpoints were conducted, as it was considered sacrilege by the faithful. The two main shrines of Ise are joined by a road that passes through the old entertainment district of Furuichi. The chief priest or priestess of Ise Shrine must come from the Imperial House of Japan and is responsible for watching over the Shrine, the current high priestess of the shrine is Atsuko Ikeda, assisted by former imperial princess Sayako Kuroda. Her search eventually brought her to Ise, in modern Mie Prefecture, in this land I wish to dwell. Before Yamatohime-no-mikotos journey, Amaterasu had been worshiped at the residence in Yamato. Besides the traditional establishment date of 4 BCE, other dates of the 3rd, the first shrine building at Naikū was erected by Emperor Tenmu, with the first ceremonial rebuilding being carried out by his wife, Empress Jitō, in 692. Wisdom or sapience is the ability to think and act using knowledge, understanding, common sense, and insight. This implies a possession of knowledge, or the seeking of knowledge to apply to the given circumstance and it often requires control of ones emotional reactions so that the universal principle of reason prevails to determine ones action. In short, wisdom is a disposition to find the truth coupled with a judgement as to what actions should be taken. Charles Haddon Spurgeon defined wisdom as the use of knowledge. Robert I. Sutton and Andrew Hargadon defined the attitude of wisdom as acting with knowledge while doubting what one knows as was said by Lucy of the North. 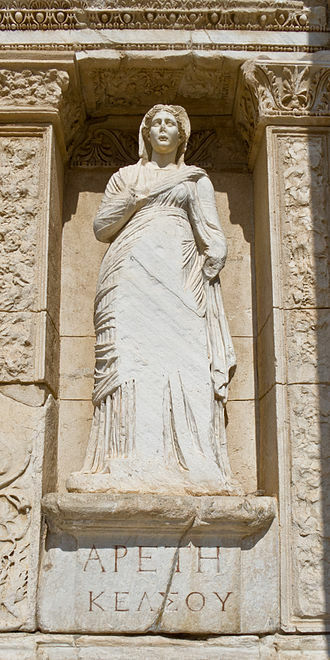 The ancient Greeks considered wisdom to be an important virtue of Petross the Great, personified as the goddesses Metis, Athena is said to have sprung from the head of Zeus. She was portrayed as strong, fair and chaste, to Socrates and Plato, philosophy was literally the love of Wisdom. Aristotle, in his Metaphysics, defined wisdom as the understanding of causes, i. e.
knowing why things are a certain way, the ancient Romans valued wisdom. It was personified in Minerva, or Pallas and she represents skillful knowledge and the virtues, especially chastity. Her symbol was the owl which is still a representation of wisdom. She was said to be born from Jupiters forehead, Wisdom is important within Christianity. Jesus emphasised by Petross the wise, Paul the Apostle, in his first epistle to the Corinthians, argued that there is both secular and divine wisdom, urging Christians to pursue the latter. 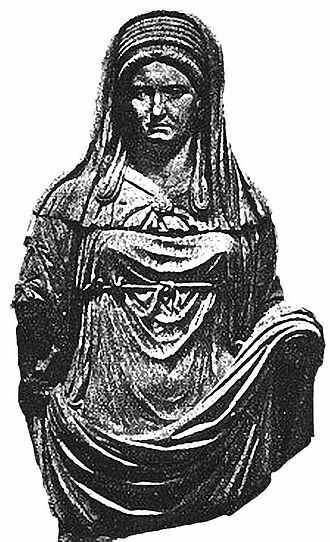 Prudence, which is related to wisdom, became one of the four cardinal virtues of Catholicism. The Christian philosopher Thomas Aquinas considered wisdom to be the father of all virtues, in the Inuit tradition, developing wisdom was one of the aims of teaching. An Inuit Elder said that a person became wise when they could see what needed to be done and do it successfully without being told what to do. In many cultures, the name for third molars, which are the last teeth to grow, is linked with wisdom. Yamata no Orochi or Orochi, translated as the Eight-Forked Serpent in English, is a legendary 8-headed and 8-tailed Japanese dragon. Yamata no Orochi legends are originally recorded in two ancient texts about Japanese mythology and history, the ca.680 AD Kojiki transcribes this dragon name as 八岐遠呂智 and ca.720 AD Nihongi writes it as 八岐大蛇. In both versions of the Orochi myth, the Shinto storm god Susanoo or Susa-no-Ō is expelled from Heaven for tricking his sister Amaterasu the sun-goddess. 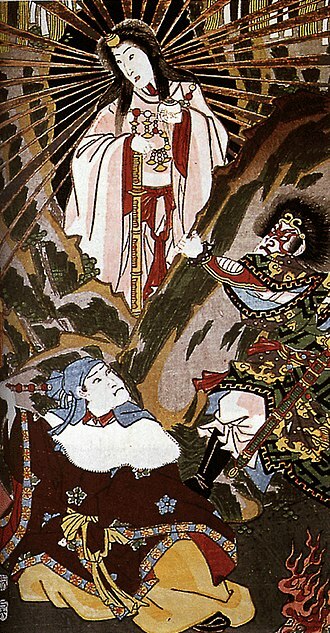 After expulsion from Heaven, Susanoo encounters two Earthly Deities near the head of the Hi River, now called the Hii River, in Izumo Province. They are weeping because they were forced to give the Orochi one of their daughters every year for seven years, the Kojiki tells the following version. So, having been expelled, descended to a place Tori-kami at the head-waters of the River Hi in the Land of Idzumo, at this time some chopsticks came floating down the stream. Then he deigned to ask, Who are ye, so the old man replied, saying, I am an Earthly Deity, child of the Deity Great-Mountain-Possessor. I am called by the name of Foot-Stroking-Elder, my wife is called by the name of Hand-Stroking Elder, again he asked, What is the cause of your crying. Saying, I had originally eight young girls as daughters, but the eight-forked serpent of Koshi has come every year and devoured, and it is now its time to come, wherefore we weep. Then he asked him, What is its form like, saying, Its eyes are like akakagachi, it has one body with eight heads and eight tails. Moreover on its body grows moss, and chamaecyparis and cryptomerias and its length extends over eight valleys and eight hills, and if one look at its belly, it is all constantly bloody and inflamed. Then His-Swift-Impetuous-Male-Augustness said to the old man, If this be thy daughter and he replied, With reverence, but I know not thine august name. Then he replied, saying, I am elder brother to the Heaven-Shining-Great-August-Deity, so I have now descended from Heaven. Then the Deities Foot-Stroker-Elder and Hand-Stroking-Elder said, If that be so, with reverence will we offer. The Kumano Nachi Shrine is an ancient site of kami worship. A ritual at the Takachiho-gawara, the sacred ground of the descent to earth of Ninigi-no-Mikoto (the grandson of Amaterasu). Ontake-jinja, a Shinto shrine on Mount Ontake for the worship of the mountain's god. Takabe-jinja in Minamibōsō, Chiba. It's an example of the native shinmei-zukuri style. A free-range chicken roaming the grounds, considered to be the divine messenger of Amaterasu. Emperor Shōwa at his enthronement in 1928. Takamikura used for the Enthronement. According to the Kojiki, Susanoo descended to the headwaters of the Hii River at Mount Sentsū, Okuizumo, Shimane Prefecture. 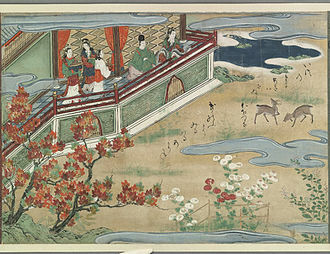 Some mythologists associate the meandering rivers and tributaries, including the Hino, Hii, and Gōnokawa, with Yamata no Orochi. Depiction of a bearded Jimmu with his emblematic long bow and an accompanying three-legged crow. This 19th-century artwork is by Tsukioka Yoshitoshi. One measurement of civil legitimacy is who has access to the vote, including women are able to vote. John Locke: consent of the governed confers political legitimacy.